The picture above might be a bit extreme, but I think a lot of useful nuggets can be ascertained by re-examining the college experience. No, not THAT college experience! But the other aspect of college life that was perfected so well – having a good time, while still being cheap about it. They say that college is the best 4 years of your life. I didn’t think so at the time, but after some years, I do reflect back and start to appreciate all the good times more. As soon as I do, I realize that all this fun happened in spite of me not having a dime to my name! It’s funny, when you don’t have something, or many somethings, you always seem to find ways to improvise, and get by. Sadly, once I started collecting a paycheck, I lost this mindset completely. No longer did I do things for myself, or even use my brain to try and come up with ideas. Instead, I took the path of least resistance – I paid someone else to do the task for me. Once I started working, this became the norm. My expectations for things also shot up with my paycheck. Whereas I use to make do eating top ramen, totino’s pizzas, the dollar menu at fast food joints, etc., I now expected much higher quality food. Public transportation was now frowned upon, and I bought into the hype of wanting a flashy ride. I’ve since learned that the human capacity for wants and desires are endless; it knows no bounds. 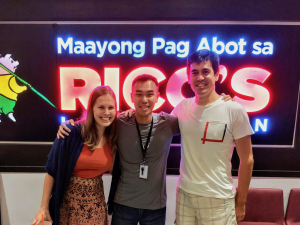 Instead, we have to force ourselves to come back down to earth a little bit, and realize that we don’t have to spend our entire paychecks to have a good time and high quality of life. On the other hand, since we are now collecting a paycheck, we also shouldn’t have to “suffer” as much as we did in college. The compromise is finding the happy medium. Whenever I go out to eat with friends or co-workers, I usually suggest eateries that give you the most food for the lowest prices. In college, this meant sticking to places where you could get a satiating meal for under $10. I now try to apply this same exact rule when eating out. For instance, if I had the pick of where to each lunch, I would insist on eating at places like: Chipotle, In-N-Out Burger, or Panera Bread. At Chiptole, I can get a burrito, chips and drink for under $10. The meal is tasty, filling, and doesn’t put a dent in my wallet. If my companions insists on eating at more expensive restaurants, I simply make do as best I can and try and order something cheaper on the menu. Of course there are times this may be inappropriate, but ‘downgrade’ whenever you can. I usually give the excuse that I’m just not feeling particularly hungry. Or, that I have a big meal coming up later that day. While I do that, I’ll let the others order the Surf and Turf meal + drinks for over $60. I’ll subsist on the steak sandwich + water for $15. While others may end up spending 300% more than me, I’m almost certain we will both be hungry again, later, at exactly the same time. Does the Surf and Turf meal really taste 300% better than the steak sandwich? You decide. A better alternative would be to invest in a top-quality bicycle. 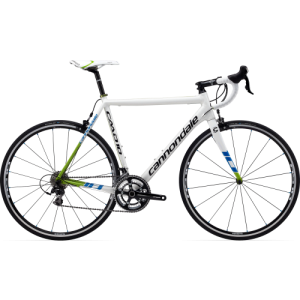 $1500 for a state-of-the-art road bike might seem like a lot (especially compared to a motorcycle), but the return on utility is much greater. You never have to worry about fuel, and you should be able to easily ride it for the next 20 years or so. When it comes to selecting a road bike, it’s worth it to spend more upfront to ensure you are buying quality that will last. Biking is good for the environment, your health, and maintenance costs are low. If you live close enough to your work, you can also save on commute by choosing to ride instead of drive. This will allow the bicycle to pay for itself in no time. I’m a big fan of Apple and its products. The iphone 4 was probably the best phone I ever used. However, it’s hard to justify the monthly data plan rate. Adding a data plan would increase my monthly cell phone bill by at least $40-$60. When I think back to my time in college, I remember a time when smart phones were in their infancy, and nobody I knew had one. Back then, all that mattered was finding a phone that had: reliable service, good sound quality, color, camera, and text messaging. 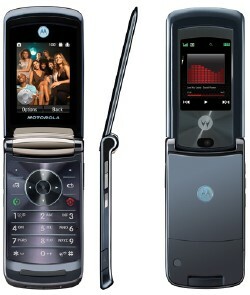 In 2006-2007, I would have described the above as the perfect phone. I didn’t need a smart phone then, and I probably don’t need one now. Hobbies are a personal choice and everyone’s preference for fun is different. But consider the following – when investing in a long term hobby, try and select ones that provide the the most bang for the buck. For example, becoming a home theater enthusiast will not come cheaply. Getting started alone will require the following purchases: big screen, projector, receiver, speakers, blu-ray player + discs, etc. This type of equipment is, unfortunately, prone to becoming obsolete (think VHS and laserdisc). As such, new devices will have to be purchased in the future in order to keep up with the latest and greatest. Also, the old devices will have not fetch much on the open market, as yesterday’s technology tends to only depreciate in value. Furthermore, if you want to build a library of movies, this means continually having to purchase new titles that can cost as much as $30 a disc. In college, I knew a lot of people who played music for fun. This is a fantastic example of finding a hobby that has a high return on entertainment cost, per-hour. There are literally billions of songs you can choose to learn, mastery typically requires tens of thousands of hours of practice (you’ll continually be challenged), and it provides an outlet to be creative. Whether you choose to play piano, guitar, violin, etc., take comfort in knowing that you typically only need to invest in the gear once. Also, brand-name, vintage gear typically carries with it high resale value. If you choose wisely, you may even be able to profit in the future (should you choose to sell). In that case, the gear purchased can really be seen as an investment. 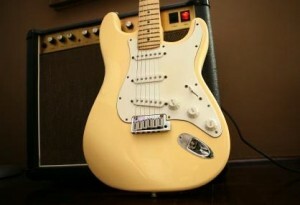 A high-quality guitar and amplifier will typically set you back $2000. If you commit yourself to playing 2 hours a day, everyday, for the next 20 years, the cost / hour on the initial $2000, comes out to be less than 14 cents an hour. The above examples provide simple solutions to help save money. By giving up on the more expensive luxury items in life, one can instead turn to cheaper alternatives that bring just as much satisfaction. In fact, it may even be argued that a sacrifice isn’t being made, since nothing is really being given up. A new job, or salary increase has a way of distorting our thinking into believing that we must increase our expenditures to offset the pay raise. If we give in to external influences, we are likely to fall victim to this trap. On the contrary, if we tap in and reconnect with our thrifty, college-self, we will be better positioned to making the smart decision. Early financial independence can be achieved without forcing one to compromise. Wow, I’m glad I learned something in college, after all. Some good tips. I do sometimes like to sometimes spend my money on quality things, but yes, it is so easy to throw your money away on hyped goods if you’re not careful. That’s exactly the same mentality I have. I try and be thrifty on things that I feel aren’t as important to splurge on, but I don’t compromise on quality / price when it comes to my true passions and hobbies (like season passes for snowboarding). You gotta enjoy life right? International travel is a fantastic hobby. The world has so much to see and offer! I agree, a cheap meal doesn’t make it automatically a better alternative. One should always balance out their meals to include lots of fresh fruits and vegetables. Sometimes though, one has to compromise when eating out with others (it’s rather difficult to get a large company to agree to eating at Fresh Choice every time, though I continue to try). For a new college grad just starting out, it’s an exciting time and they are prone to over-spending. 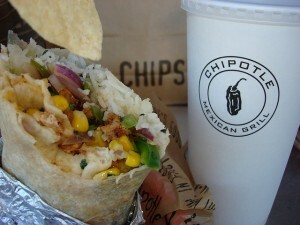 The Chipotle example was used to show that you can still get a good meal without over-spending. It’s definitely not the healthiest choice out there, and I wouldn’t recommend it eating it everyday either. Though it is quite an upgrade from top ramen I would say! I loved this post and the best part for was calling people out who ramp up their spending after landing their first job. I know people go through a honey moon phase when they see their first few “real” paychecks but after that – it should be about maximizing your saving and efficiency. Making the most out of each paycheck takes monitoring expenses and really getting the most return out of those dollars. So like you said: think used, plan meals and start to earn some interest! Yes, I myself was quite guilty of that as well, so I completely understand the mentality one has when they first land that “real” paycheck. Getting to this point in your life is commendable, and you owe it to yourself to enjoy a little bit. However, it would be wise to consult with others who have been there before, and gain knowledge from their experience. The honeymoon phase, unfortunately, can last indefinitely for so many. It’s easy to over-indulge and become accustomed to a high class, royal lifestyle when you only live for today and don’t think about tomorrow. But the sooner you ‘see the light’, and snap out of the dream, the sooner you can start planning for your future. By maximizing savings and efficiency, like you said, a person can have the best of both worlds. Enjoy today, while preparing yourself for an even brighter tomorrow. I know food is always a big concern when it comes to money but health is first and if something is too inexpensive you have to wonder what is in it and how it can cost you in the future. Agreed. Without your health you have nothing. It is never a good idea to sacrifice your health to save a few bucks. 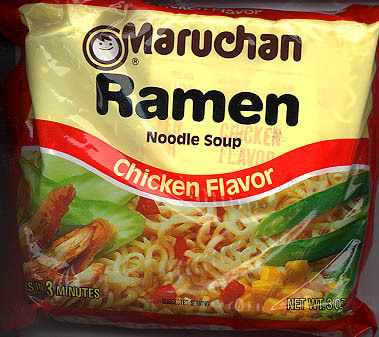 I always loved the cup o noodles. Not to stray from topic though it is good to keep yourself in check sometimes. We can get carried away spending on food. I know my wife being italian that she is loves to have only the finest foods and we need to make a new meal each night we cant have left overs. And we always have to have dessert too, my stomach thanks her. I really would love to go back to the college mindset and saving money and spending as little as possible for that one big splurge, back then it was drinking, now it would probably be a vacation. Do your best to save on costs as best you can, such as by clipping coupons, buying only items that are on sale, etc, and you’ll have money saved up for that vacation in no time! Very good tips. Much like the guitar example, I’ve managed to turn my high-end electronics into investmests also. For example, I plan on purchasing the brand new HTC EVO phone for the third year in a row. I root the phone and take great care of it so I’m always able to sell the old phone for $50 more than the cost of the new one after carrier rebates. This way, I enjoy a new device and make a little money at the same time. Great for you JW! That’s a great way to keep up with the latest and greatest and not derail your savings in the process. I’m also an electronics enthusiast, but must admit that I haven’t been doing a very good job of keeping up with the latest technology. I should try and be more creative like you to keep up. That’s awesome that you even profit in the end. Can’t beat that! I would say, instead of doing without altogether, maybe just don’t go for the newest flashy phone, if there aren’t any concrete benefits. Do a pro-con comparison. If you are very comfortable with Apple products, than go for an iPhone, but if you don’t really care either way, choose an Android. The smartphone I have is a Galaxy S, which was a free-with-contract Droid smartphone at the time, even though just the year before I had been considering buying the thing for $150 with a three year contract! The cheaper phones aren’t necessarily worse than the expensive ones, they’re probably just last year’s model. In regards to smartphones, no arguments with you there. Smartphones are indeed incredible devices that have done so much to better, and simplify our lives. However, I simply bring up the point that when I was in college (up to 2007), no one had them. Hard to believe, isn’t it? So, when I put myself back in that frame of reference, it becomes harder for me to justify purchasing one now. Obviously, this will not apply to everyone. But I really felt like I got along just fine back then, and wasn’t deprived at all. As such, I feel like I probably still don’t need one now. Great suggestion on selecting a middle-end phone as a compromise! This is starting to become more and more viable as smartphone prices are continually being slashed. I’m not especially eager, so I’ll keep waiting. Though, I’ll admit, I had been seriously considering an ipod, or ipad to use exclusively with WiFi. If they have now reached the point where they are giving away smartphones (with contract), I will seriously have to check it out the next time I renew my plan! Aw, this was an exceptionally good post. Taking the time and actual effort to produce a superb article… but what can I say… I procrastinate a lot and don’t manage to get nearly anything done. I wish I could do the same! What a life when at college! But with family it is sooo difficult! I’m not surprised it’s a bit more challenging to do once you start a family. But it can be reassuring to know that since we did it once before, anything’s possible! Next post: New to the Yakezie Challenge!